It’s time to talk about the good and evil of video games, and one of WordUp’s heroes: Jane McGonigal. Frequently when objectionable trends gain popularity, people try to stop it. Obviously this can be a good thing. For example, during the American crack epidemic from the mid-’80s to the early ‘90s, a lot of people enjoyed smoking crack cocaine (or maybe they just wanted to waste their money, I don’t know, I wasn’t cool enough to do drugs). This caused a lot of serious health problems and a dramatic increase of violent crime. This enjoyable and destructive trend had to be stopped, so through various interventions… yadda yadda yadda… now crack is less prevalent. At other times, an objectionable trend gains popularity and people try to stop it before they understand its potential for good. During Industrial Revolution, new machines were putting droves of craftsmen out of business. This was highly objectionable, and many tried to stop it. 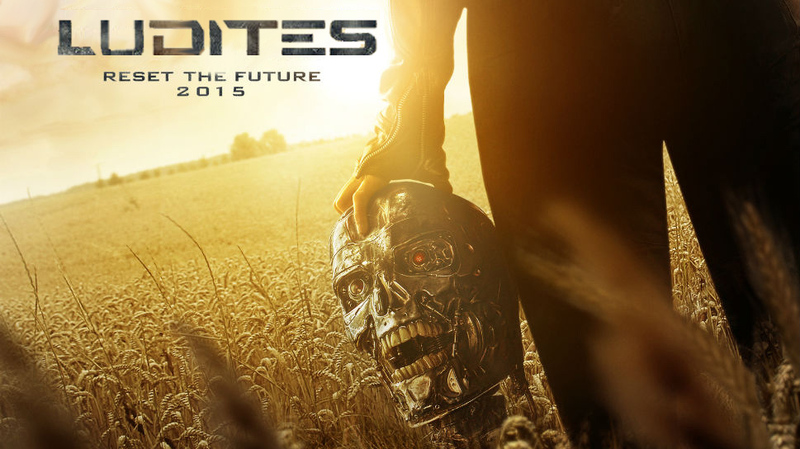 You may have heard of the Luddites, an organization of saboteurs that began with French weavers destroying the newly invented power looms. There are plenty of other examples, including the English farmers who destroyed newly invented threshers during the Swing Riots of 1830. Flash forward to today: now most people would agree that the industrial revolution was good and that crack cocaine is bad, but people have yet to reach a consensus on the subject of video games. Can they benefit humanity, or are they an enjoyable disease like crack? In the 90s, the video games we played were a fun distraction. Any benefit they provided was greatly outweighed by the fact that they that turned us into socially isolated couch potatoes. Of course, occasional gaming is about as harmful as the occasional board game, but board games are not as addictive as video games. You might have heard about the man who died while playing WoW, or about proposals to make video game addiction a diagnosable mental disorder. So how are they useful? Recently, games have also shown potential to do good. Portal taught visual-spatial reasoning in a way that no classroom could. Wii Fit was a huge success that got sedentary people of all ages to be physically active. Lost on Babel’s focus on interpersonal interaction is another revolutionary idea for gaming, with huge potential. Enter Jane McGonigal. She earned her PhD in performance studies from UC Berkeley. Now she is a game designer and author. I want to know where she gets her ideas and who does her hair. 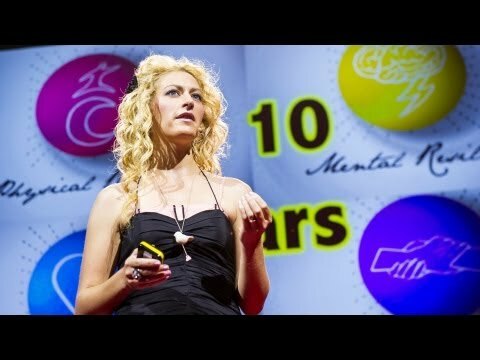 Jane McGonigal started working on her game SuperBetter after a serious concussion left her in agony and unable to work for 3 months. It also caused her to have suicidal thoughts–a common result of concussions. She says making her game helped her get through this difficult time. Although most video games are a great way to escape reality, SuperBetter connects game with reality. The game has you solve your real-life personal problems–such as being overweight, being depressed, or constantly stressing–by giving you objectives and making it a mission. Critics have derisively called SuperBetter a form of gamification. “Gamification” is a practice educational games have used to try to make learning fun, but… well… you know how “fun” educational games are. Jane refutes her critics by saying that her game is different because it does not make people do anything they don’t want to do. Jane looks at video games and sees a potential that your parents never saw. In her research, she has compiled study after study that show how video games can make people smarter, more social, happier, and most surprising of all–physically healthier. You can watch one of her TED talks here. 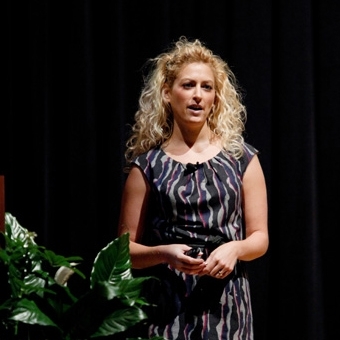 Thanks to pioneers like Jane McGonigal, video games are changing. She is not alone. There are many developers, including us at WordUp Games, who want to make use of the three billion hours of gaming that occur worldwide every week. Video games can improve lives, and the steps we are taking to move in that direction are just the beginning. They don’t have to be crack. 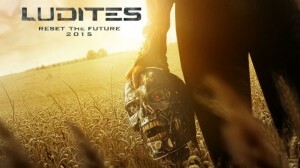 This entry was posted in Blog and tagged crack, games, gamification, Jane, McGonigal, Superbetter, trend, video, videogames. Bookmark the permalink. ← Is Ben Hafen Still Human?